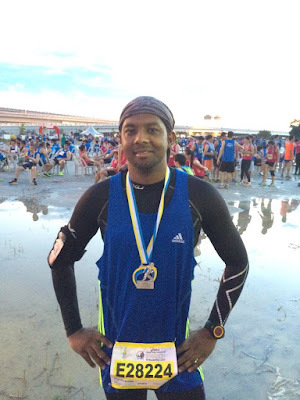 Hello RunRevolution, my name is Vijay I’m from Malaysia. I live in the heart of the city which is Kuala Lumpur.I work as a Project Lead for a Oil and Gas co. I love sports and I do enjoy photography and I have a huge crush for musics and love dogs, I myself have 2 dogs a (Labrador & terrier) which are both 5 and 6 years old. I started running somewhere around 2007. It started as a short runs and soon I started running 4 – 5 days a week simply because I feel I could run further and further. But soon enough I got into injury which was shin splint and I didn’t knew what was it and I stop running for a few months. Then in 2009 I started again running and few months down the road I had (Plantar Fascia) issue where my ankle started to hurt on the road and I was back to square one again. After staying away from running for 3 years, I met a friend who started sharing some similar injuries he had and it was almost the similar injuries I had but he overcome and fixed it. We started training as a team officially in 2012 and started to do some serious running. For me it is like an awakening to the newness of how the world of different peoples is viewed and experienced in so many unimaginable ways. It changes one forever, for the better. My approach to all things have been tempered through my contact with people from places in the planet I could never imagine harboured people whose approach to life could be so profound. 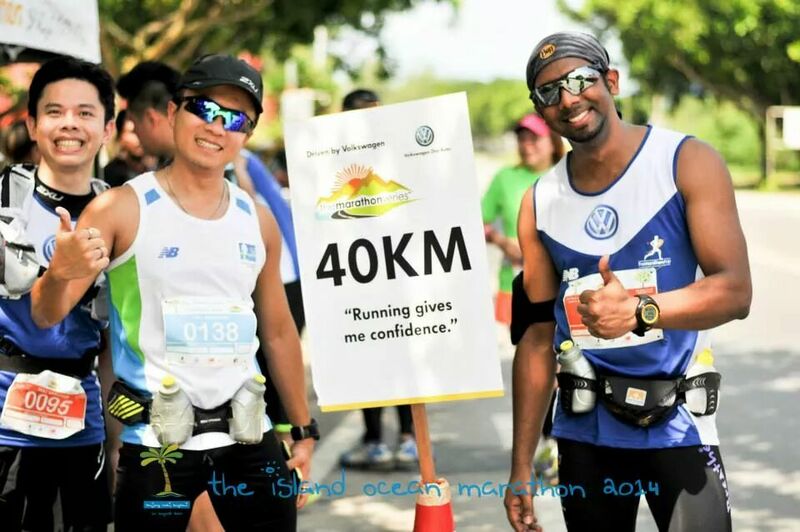 Locally and globally the running culture has went viral we see there are runs everywhere in every corner every part of the world. Good and bad there are more and more people are getting influence to run which is not bad in a good way we see people would like to stay healthy. So the alcohol consumers are shrinking (maybe).There was a recent article by Wall Street claiming today’s American runners care more about how fun the run is than how well they do. I personally feel this has evolved even in Malaysia. 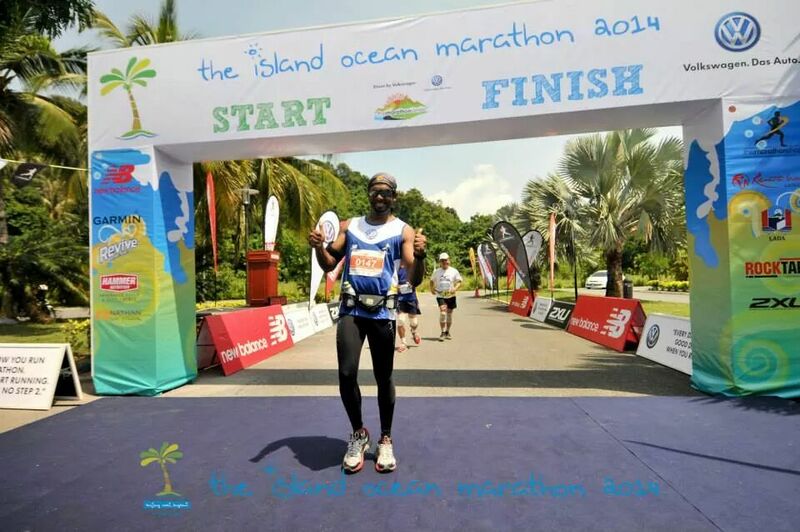 But when you noticed serious Marathoners the Kenyans they are still ruling the Runners World. Gadgets these days have become rapidly intelligent and they are part of a human being. Just to name a few Heart Rate Monitor, GPS Watch, Performance Band, iPods sounds familiar? All this stuff are already synched up and ready to be used for a runner. Gadgets helps us to monitor and track our performance as well getting the results we want. Having these devices also motivates each individual to train harder and smarter. But as a runner we shouldn’t rely too much on the gadgets. Practise someday as a “Gadget free day” and go for a run and experience how it feels. When we train harder to be better and faster almost every each runners somewhere along the way, neglects core training, warming up and etc. All this due to time factor and busy schedules which are recipe for injury which will get build up over time and this make us to be out of action for months. But in a positive note when I had injuries I took a break from running and start making research about the injuries and talking to other fellow runners exchange injury problems and that helps me to realize how important stretching and strength training to help us to improve better. Always remember to STRETCHHHH! When I look back from my first run I did which was a 12km run I told myself despite running is fun but I can’t wait to get this run over with. 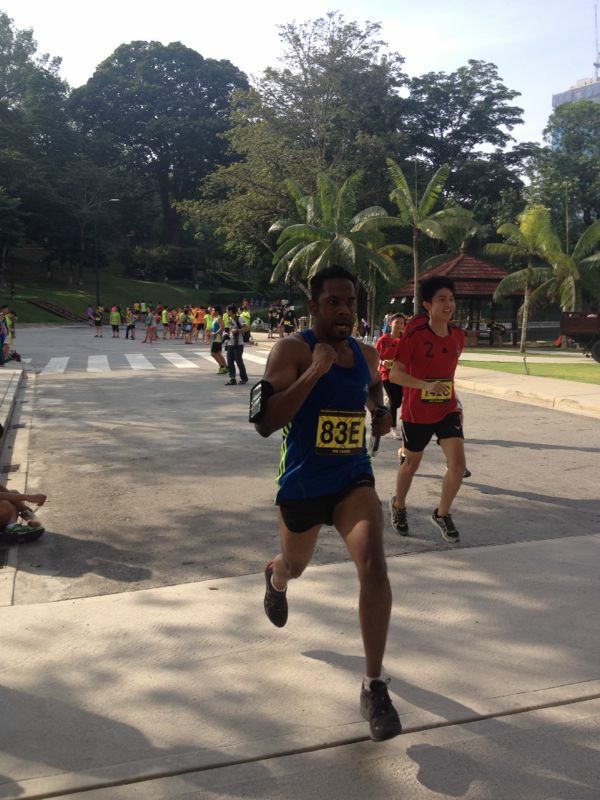 I felt I was running like few thousand miles! 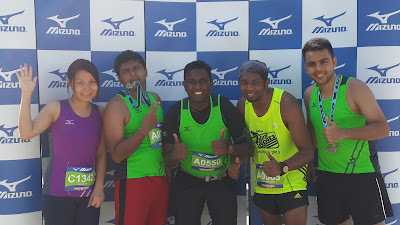 But as time passes what puts a smile in you is the finishing line and all the cheers, the motivation, the people which inspired me for my achievement, rain or shine you wake up at insane hours just to tell yourself that you want to run and this is what you like to do it’s priceless. 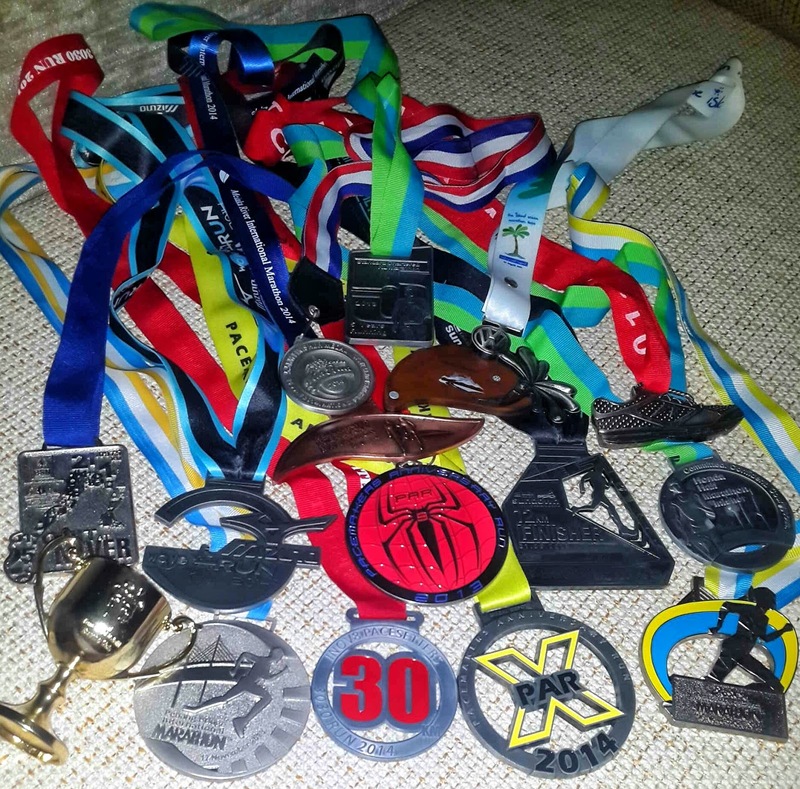 But today when I look back on all my trophies and I could tell clearly how the feeling was, how much it has made me insane (in a good way off course) As I train harder I was very result oriented it was always about better timing and longer mileage and pushing my limit to do better. When I did my first Full Marathon last year it was the sweetest memory I ever had because there was only one thing I remember when I was a few meters away from the finish line. I train so hard to finish what I started and there no turning back. My future plans / goals, I would like to push more than what I have achieved. Perhaps doing an Ultramarathon someday and to do a Iron Man challenge within the next few years. I know it’s not going to be easy. Patience, positive attitude and strong minds that’s all it takes to achieve my future goals. There are days you would feel sore and tired but there are days you can always look back and tell yourself you are stronger than you think you are and keep training harder and smarter. Instagram, Facebook, Pinterest is places where you get likes, compliments, motivation which are priceless because your friends, family believes in you and that’s what keep you going. I share my run pictures to everyone and I get likes and motivation from stranger and that’s just what keep me going and makes me happy. Ohh boy this is tough!. I just want to be remembered as a person who was always strong and will never give up in life and a motivator. I push myself to the limit and to do a Personal Best of me. So when I die I would like to be remembered as a good person and I have successfully inspired many people who didn’t think they could run and made a difference.